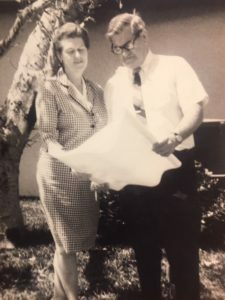 Our legacy of professional excellence dates back to 1953 when William B. Campbell, Sr. and Mary Campbell moved to Deerfield Beach from the northeast to start their own business in a small real estate office on US1 in Pompano Beach. In 1969, William and Mary Campbell began to expand their real estate business and a small office space in Deerfield Beach became the new home for Campbell & Rosemurgy Real Estate. 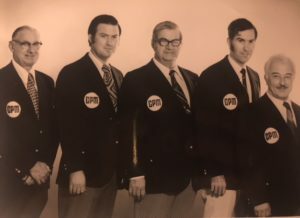 In 1973, James “Jim” Rosemurgy joined the company that now shares his name. Jim’s knowledge and expertise allowed the company to expand into development and project sales. Jim remains an active part of the company today. Today, our company still occupies the same location in Hillsboro Beach and has grown to occupy the entire building with over 50 full-time real estate sales professionals. We at Campbell & Rosemurgy continued to expand in the nineties and the 21st century by opening a real estate office in Boca Raton in 1991 and another office in 2006 located in the City of Pompano Beach. Our Boca Raton office, on 1299 South Ocean Boulevard, is the main office to over 20 oceanfront property professionals who specialize in Beachfront properties in Southern Palm Beach and Northern Broward Counties. Our real estate office in Pompano Beach, is located at 1750 North Federal Highway, and is currently home to over 50 full-time real estate professionals that specialize in the Lighthouse Point/Pompano Beach market with an emphasis on waterfront property. We still maintain the tradition of personal service started by William and Mary Campbell as we are a non-franchise company and remain under the same family ownership since being founded in 1953. Our mission is to provide the most professional yet personal real estate services in our market place — primarily the coastal areas of the cities of Delray Beach, Boca Raton, Highland Beach, Boynton Beach, Deerfield Beach, Hillsboro Mile, Lighthouse Point, Pompano Beach and Fort Lauderdale. Our team of accomplished professionals is known industry wide as some of the most knowledgeable agents in our marketplace. We are results oriented and hold ourselves to a very high standard. We have enjoyed success due to our remarkable record of relationship building, client services and our values. We take great pride in providing reliable and honest real estate services. When you are working with Campbell & Rosemurgy Real Estate, we bring our expertise, innovative sales and marketing strategies, real estate knowledge, integrity and accountability throughout the entire process. Our team of professionals is customer-focused and steeped in a tradition of excellent service. Personal attention is the foundation of our approach, and every client receives tailored services that not only inspire trust and confidence, but ensure a successful real estate transaction. Campbell & Rosemurgy associates live and work in the communities that they serve giving them valuable insight into local market trends. Today’s environment demands that we stay on the cutting edge of technology while prioritizing our customer centric service. We at Campbell & Rosemurgy aim to provide buyers with the most up-to-date market information to ensure a smooth sales transaction from beginning to end. We believe that it is of utmost importance to provide sellers with professional, target marketing of their home to ensure a timely sale for maximum dollars. We pledge to ensure a smooth sales transaction from beginning to end including coordination of financing, title services, necessary inspections and a smooth closing.